This hotel is 100PCT Non-Smoking. 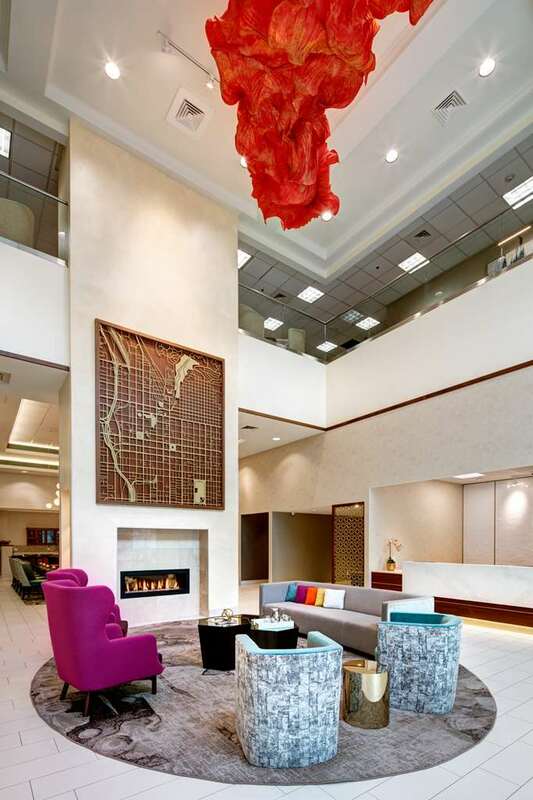 The Homewood Suites by Hilton Salt Lake City Downtown hotel is located in the trendy Gateway area of Salt Lake City Utah and within walking distance of all major companies located in the downtown area of Salt Lake City. Our Homewood Suites hotel is within walking distance of many restaurants theaters and shops. All 124 suites at the Homewood Suites in Salt Lake City Utah have complete kitchens iron and ironing boards and DVD players. The hotel also includes a hot complimentary breakfast daily and an evening Managers Reception including light food and beverages. Complimentary local phone calls and a complete 24 hour Suite Shop are also available for all guests of the hotel. A seasonal outdoor heated swimming pool and hot tub are also located on site along with an exercise facility. Make yourself at home. California Pizza Kitchen: Upscale pizza restaurant for families. Red Rock: Brew pub casual diner.